Tina Freitas just made a big splash in Virginia politics. Freitas launched an exploratory committee to consider a primary campaign against her sitting State Senator. And as the wife of former Senate candidate and current Delegate Nick Freitas, all eyes are quickly shifting to this race. If Freitas follows through and announces a campaign, she would be running head-to-head in a Republican Primary against State Senator Emmett Hanger. The reason for her campaign, Freitas shared, is that Hanger’s values don’t line up with their conservative district. 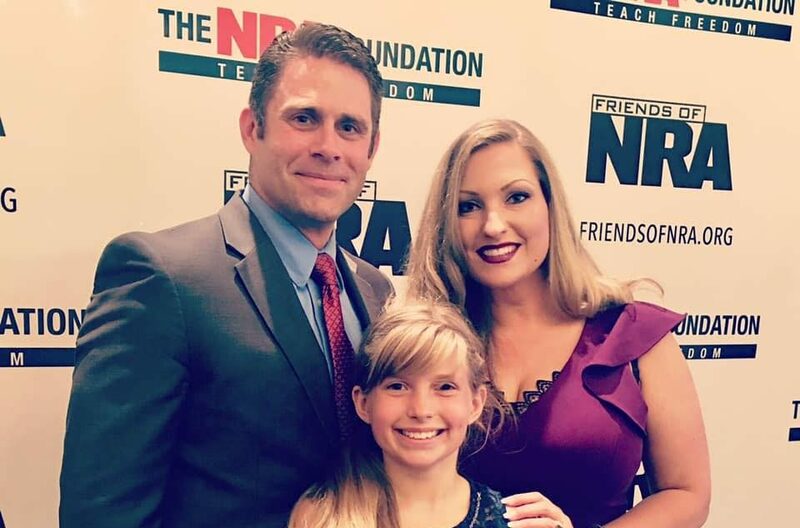 “I strongly disagree with much of his voting record and his tendency to vote in line with the Democrat agenda on key issues.” Freitas stated. Hanger is one of the Republicans that voted with the Democrat party to pass Obamacare’s Medicaid expansion in 2018. The expansion triggered an immediate outrage among Virginia conservatives. If Freitas files, hers will be the third Republican campaign announced as a reaction to this vote. The district is a safe red seat that usually swings 60-30 for the GOP. That means whoever wins the Republican nomination will almost certainly win the General election. And with the support of a former statewide candidate and sitting Delegate, Freitas will likely create a competitive race. During her launch statement, Freitas let on to a piece of her campaign theme. She accuses Hanger of being ashamed of conservative values, and explains that her views more closely align with the district. Freitas also addressed the recent abortion comments from Governor Northam. I am not in Tina’s District, but if I were, I would definitely be voting for Tina for the State Senate seat in the 24th District. My own tate Senator is Mark Peake, solid Conservative, pro-life, pro-2d Amendment. Tina will be a great Conservative Pro-Life, Pro-2d Amendment enator from the 24th District! I live in the west side of Culpeper in the 24th Senate District, and I have become more and more dismayed by what Emmett Hanger has been doing. Pushing for Medicade Expansion? Some might say, “Well, even though it will eventually overwhelm our medical system and bankrupt the Commonwealth, at least he is compassionate…” I guess it depends upon your timeline for compassion, but Conservatives realize ever expanding government programs put unnatural amounts of money in a sector of the economy and continue an upward spiral in prices that the government then again pays until nobody can afford it. The same thing has occurred with college funding where schools are more like spas now to attract more and more students with larger and larger government-backed loans they will have trouble paying back. The trouble paying back the huge loans then draws calls for government to pay off the loans and….eventually huge tax increases, price controls, more and more businesses close, the system collapses and you are Venezuela. Compassionate? No. Voting Against Constitutional Carry? This is proof Emmett Hanger has effectively become a Democrat. His “compassion” has now moved into an obvious lack of trust for law-abiding citizens constitutional and moral right to self defense. Rather than Liberty and Equal Opportunity, his instincts are to control citizens and redistribute. That is Leftist thinking and voting! I have met Tina Freitas, and like her husband Nick, she is a Conservative. If she decides to run for the 24th Senate District, I will support her for sure. I’m just outside of her district so, unfortunately, I can’t vote for her. She seems to stand for the same things I’m in favor of. I served with her husband in Iraq in 2006, so that’s a big plus too!